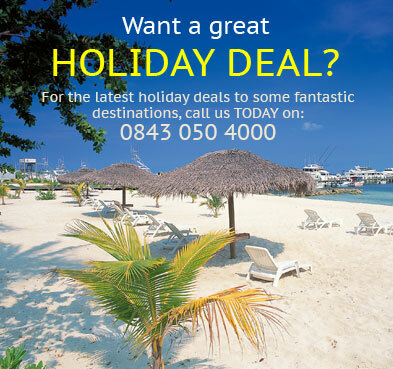 Find fantastic holiday deals to Antigua. Discover incredible offers on Antigua holiday packages and grab the best deals today with Instant Breaks. Antigua, also known as Wadadli, is an island in the West Indies, in the Leeward Islands in the Caribbean region, the main island of the country of Antigua and Barbuda. Antigua means "ancient" in Spanish and was named by Christopher Columbus after an icon in Seville Cathedral, Santa Maria de la Antigua�St. Mary of the Old Cathedral. The name Wadadli comes from the native Indian inhabitants and means approximately "our own". The islands circumference is roughly 87 km (54 mi) and its area 281 km2 (108 sq mi). Its population was 80,161 (at the 2011 Census). The economy is mainly reliant on tourism, with the agricultural sector serving the domestic market. Antigua is best visited in the cool, dry months of mid-December to mid-April, the peak tourist season. British Passport holders do not require a visa to enter Antigua and Barbuda for tourist stays up to 1 month only. Your passport should be valid for at least 6 months. Hepatitis A, Polio and Typhoid immunisation are recommended for protection against disease. Yellow fever immunisation is required if arriving from an infected country or area. Please contact the Antigua and Barbuda Tourist Office on 020 7258 0070 for up to date country information. There are 2 airlines offering direct services to Antigua - Virgin Atlantic & British Airways. Virgin Atlantic offer 3 direct services a week, with two of these being non-stop and the third operating via Barbados. British Airways offer direct non-stop services 6 or 7 times a week. Average flying time is 8hrs 30mins for non-stop flights and 10hrs 45mins via Barbados. Both carriers offer 3 classes of travel including World Traveller Plus on British Airways and Premium Economy cabins with Virgin Atlantic. For the latest update-to-date Antigua travel advice, click here. Book your Antigua holiday with confidence TODAY & SAVE £££'s!